I graduated from library school in 1997 and began my full-time job in 1998. Through the years, I’ve learned things that library school didn’t cover. Here are a few of the skills I think are important for every youth services librarian to have. This is a must. Delivering a storytime in a flat monotone voice will immediately turn any child off. Be energetic. Show your love for what you do. Get silly. Sing and dance. Know the words to the songs. Yes, this means you’ll know the words to “Shake My Sillies” by heart in no time and yes, it will be running in your head for hours after. Use different voices when you read stories. Ignore the parents and center on the children. Embrace play. No, you don’t have to read every single book that’s ever been published. No one has time for that. However, you should know what the popular authors and series are. Use databases if you’re stumped. Ask your fellow librarians. Ask the kids what they are reading. Read the books they keep asking about. This takes time to perfect and everyone has their own way to recommend a book. Ask broader questions than what other books your patrons like. Find out what their hobbies are, what TV shows they watch, their favorite music. For my teens, I ask two simple questions: I ask them to rate how much they like to read on a scale of 1-10 (unsurprisingly, I usually get a 2 or 3) and then I ask what was the last book they read that they actually enjoyed. Based on the answer, I can usually find them a read-alike. There are also great listservs out there. Subscribe to them. Not every child is an angel. We all know that. Don’t expect children to behave all the time... they are children after all. Personally, I rank my storytime kids into three categories: the silent one, the interactor, and the runner. The silent one stays planted in Mom’s lap and barely blinks. The interactor reacts to the stories & songs, sings and dances along. The runner as the name would imply, doesn’t stop moving the entire program. Each one of these get something out of the program. If a parent apologizes, tell them not to worry. The only time I would say something is if the child was completely disrupting the group. You will have a favorite child. There are special kids that burrow into your heart. I’ve been at my job since 1998. Some of my toddlers are now in college. You will also have a child you don’t like. Some children are plain terrors. There’s not much you can do about them but get them to behave as best as you can in a program. Regardless, you have to treat them all fairly. Treat them all like your favorite. Teens can be a rough bunch. They’ll come & hang out at the library, but getting them into a program can be hard. Food programs are always a big hit. Who doesn’t like to eat? Talk to them and ask them what they want. Have a survey in your teen area asking them what programs they want. If you have a group of really interested teens, create a Teen Advisory Group. Know the pop culture. You don’t have to watch the shows or listen to the music, but know what it is. If you try to fake it, teens will know. If you’re not into any of it, admit it. They’ll respect you more for being honest. You are going to see all kinds of teens enter. If you can’t accept any of them, you are in the wrong job. They will be loud, they will create havoc. They are teens after all. Make sure to establish firm, but fair rules for behavior. In my teen area, I have a three strikes and you’re out policy. If a librarian has to go into the teen room three times to tell them to quiet down, they are asked to leave for the day. If it happens again, a week and so on. I’ve never had to do it more than once. They have to learn the storytime rules. Have them typed out if needed. At the beginning of the program, emphasize that this is a special time for parents and children to interact together and we need everyone’s attention. No cell phones. No tablets. No chatting. I’ve stopped in the middle of a story and waited until the parents quieted down. As with the children, there are going to be some very annoying parents that come into your world. They sometimes don’t understand the basic rules of our programs in terms of registering, residency, or age. When you try to explain, they get angry and usually try to get us to make an exception. If they get too irate, that’s when you get your supervisor to help back you up. Create a professional learning network. Go to as many continuing education meetings as you can and meet the other librarians in your area. Find librarians online. Follow their blogs. Have great conversations with them. Attend a conference, even a local one, if you can. Share your programs; borrow theirs. Don’t be afraid to e-mail or tweet someone with questions about a program they ran. If you are thinking of running a program and don’t know where to start, ask the listservs. 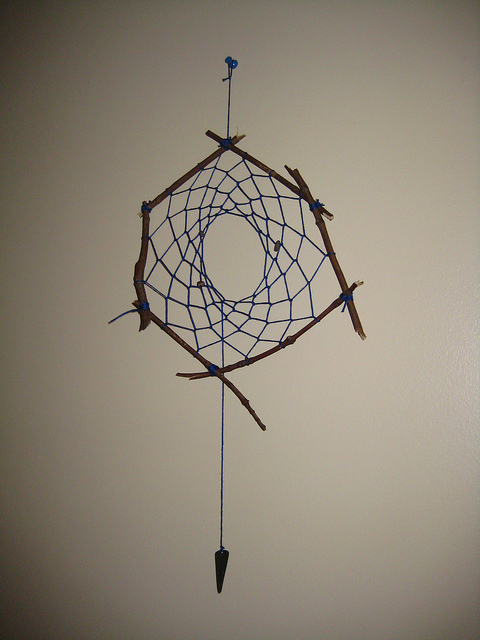 I found this great dream catcher craft to do with my teens a few years ago. Once the program started, I realized the craft was far more difficult than it seemed. We all laughed about it and made the best of it. This has happened a few times in my career and you have to make it work somehow. 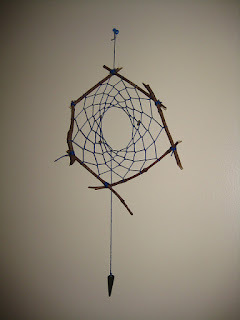 I am not a super crafty person by nature, so I usually end up learning along with the teens and children. Plenty of other things can go wrong. Do not take it personally. Even if you only reach a few, those few kids are still getting a great experience and if the program was cancelled, you know there isn’t an interest for it at the time. My last tip: try to avoid burnout. Take vacations. Talk to your fellow librarians when you need to vent. Don’t bring work home with you if you can help it. You never want to be a librarian that people don’t like. It’s an exhausting job sometimes dealing with the public, but if you remember to take care of yourself, the rewards are worth it. Natalie Korsavidis is the Head of Young Adult at the Farmingdale Library. She has served on the NYLA YSS Board and is the Past-President of the Nassau County Library Association. Follow her on Twitter: @bookslover. who are the best writers/thinkers/doers on future of academic research libraries? I need names and links folks. I've long contended that I'm not a library futurist, so I knew my name wouldn't come up in response to that tweet. I've always kind of poopooed futurists. "I have enough to worry about in the here and now," I might have quipped. Besides, I've seen people who try to sell the future of libraries who haven't worked in an actual library in decades, if they ever did. I wanted to distance myself from that crowd if nothing else. But then Chris sent her request, and the names/twitter handles I saw in response got me thinking. Some of the names that were sent her way are people I respect and even like, but I hadn't associated any of them with "library future." Even better, nobody named any of those "futurists" I've made fun of in the past. So when someone I respect started looking into a topic I'd eschewed, it gave me pause. It's not like I avoid thinking about the future of my library. I wrote a six year assessment plan (we are currently in the second year). I led the library through the process of writing a new strategic plan - something specifically designed to be practical and forward looking. I think about the immediate future of my library every day, whether we're flooding or working on collection development or just helping new freshmen log onto our computers for the first time. So why do I have this disconnect? Why do I work toward the future of my own library but still resist the idea of it on a broader scale? Beyond the personalities and reputations of some of those "futurists," I mean. I think part of my resistance is because of how unpredictable the future can be. I remember a director for whom I used to work talking eloquently about how the architects of that library had created a space for the higher ed world right before laptops became ubiquitous. In other words: not enough outlets. Something that simple made that building a library of the past, and how can you predict the unpredictable? But back to the thoughts inspired by Chris' tweet... I realized that I need to find a middle ground. I need to be conscious of how I'm working towards the future without getting unrealistic or thinking I know it all. I could easily get lost in dreams of the Starfleet Academy Library or that planet sized library from Doctor Who (minus the vashta nerada). I think maybe finding the middle ground is about looking in the middle distance. I am fairly certain of what I'll be doing tomorrow (paying bills, looking through student worker applications, answering emails). I have no idea what I'll be doing in ten years, although I suspect it will still have to do with libraries in some way. I think what I'm going to have to do is let my imagination wander a few years ahead. I need to think about the future of libraries instead of libraries of the future. I know I'll have to think about a utopian, a dystopian, and a realistic image. I need to think about the future of libraries instead of The Library of the Future. One thing I know for sure: libraries will always be about the people we serve. We might pretend that libraries have been about books, but the artifacts with which we operate are misleading. Libraries are about people. How about you? How do you imagine the future of libraries? But something peculiar was simultaneously happening. Even while I was still orienting myself to the profession, I was already being asked for my feedback by other professionals. I was invited to participate on career-related panels. I was even asked to take our graduate student workers informally under my wing during their training. This may speak to my ongoing battle with impostor syndrome (note: opens .pdf), but while I was delighted to help out in all of these instances, there was a small part of me that questioned what place I had in guiding others when the ink had just barely dried on my diploma. And then one day, somewhere between my first and second year as a librarian, a peer, arguably for the first time aloud, described me as a mentor. If this were an audio post, this would be where you would hear the sound of a record scratch. At the time I heard this, I still felt like I was the one needing a mentor, that other more seasoned librarians had more to offer than I could. I’d had (and still have) my own informal and formal mentors who I value highly. Yet what I also discovered was that, while I think sometimes the typical view of mentoring conjures up images of an early career professional paired with a more senior one, in actuality there are other types of mentoring relationships that are just as important—for instance, situational/ad hoc mentoring and peer mentoring. On some level, I’d already understood and appreciated these concepts. But in the moment I was specifically identified as a mentor, I realized that I hadn’t seen myself as ready for such a role, at least within librarianship. I certainly wanted to wear the mentor hat one day, and would like to say that my professional development opportunities were helping to prepare me for this. But again, with barely two years under my belt, I thought I needed more time to get there. And while not all of the situations mentioned earlier were mentoring scenarios per se, reflecting on them has helped me to recognize how not only is it easy to devalue yourself (again, impostor syndrome), but also that you can potentially assume mentorship roles at any stage of your career. When it all comes down to it, mentors are those people who are truly invested in your development, inspire you, and encourage you to explore and grow. In actuality, both the person who had called me a mentor and I had long been doing this for each other without realizing it. If you find such a person (or hopefully persons), or if you find that you are that person for someone, then embrace and remind yourself that we all have experiences and insights to offer. Peer mentors in particular can provide unique perspectives more closely related to your current situation. Additionally, remember that positive mentoring relationships are partnerships. They are not one-way streets with a mentor helping a mentee; rather, they should be empowering, reflective, and self-discovering opportunities of growth for both parties alike. Since then, I have been fortunate to participate in programs that have helped me to improve my understanding of mentorship and how to be a more effective mentor and mentee. I’ve also joined my library’s mentoring team. So am I a mentoring expert and do I always employ successful mentor/mentee behaviors? Of course not! Still, it has made me think about how, as a service-oriented profession, perhaps we as librarians are inherently equipped to assume such roles from the start. After all, we trust eager newbies when they are first hired to assist our patrons from the get-go. We’re all just as capable of supporting each other. While mentoring a colleague isn’t exactly like helping someone at the reference desk, many of the same tenets, from providing guidance to focusing on another’s needs, apply. So forgive my soapboxery here (in many ways, I think I have still retained my post-graduate enthusiasm), but to all you early career librarians or anyone who doubts their ability to mentor, trust yourself, trust your would-be-mentee, and learn and grow with each other. Find your own mentors—seasoned and peer, formal and informal [Editor: Or even outside our profession! ]—but also recognize that you can also serve in this capacity. If you still feel unsure (or even if you don’t), there are plenty of great resources out there on mentoring and how to be an effective supporter no matter where you are in your career. So pay it forward. You might be surprised what you learn. P.S. I also should point out that the term “mentoring” is sometimes inadvertently misused. There are actually a number of other types of supporting relationships aside from mentoring, including helping and coaching relationships—distinctions which I myself may have also confused, or perhaps been confused as inhabiting in the past. Suffice to say that my own definitions of mentoring have shifted over the years. I actually co-wrote more about this in a related posting. Tarida Anantachai is a Learning Commons Librarian at Syracuse University, where she began her library career as an insufferably enthusiastic Resident Librarian…an insufferability she arguably still exhibits today. She tweets at @taridachai. Summer is over. 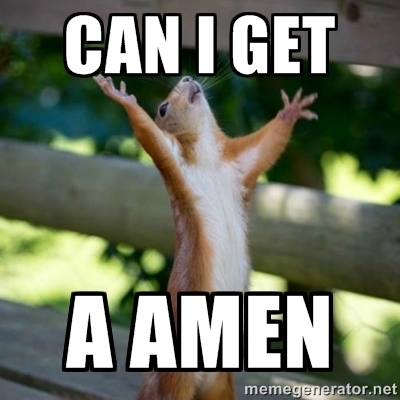 New students will show up later this week and returning students will be here next weekend. Transitions always get me thinking, and this current transition from the pin-drop-quiet of our summers to the "Can you keep it down to a dull roar?" of the semester is no different. This time I'm thinking about best practices. Specifically, I'm thinking about the difference between "best practices" and "research based practices." Some of it is because of the inevitable rush of email from faculty asking us to do information literacy sessions first thing in the semester instead of having a librarian teach in that sweet spot between when the students get a research assignment and when that assignment is due ("just in case" info lit versus "just in time"). Another factor is that I finally got around to reading a partial transcription of a TED Talk about "Why the Widespread Belief in 'Learning Styles' Is Not Just Wrong; It's Dangerous. "And then I saw a public librarian friend calling 3D printing services into question. Best Practices can be very similar to research based practices. The key difference is that they are divorced from the research and are, too frequently, a fancier version of "everyone else is doing it, so we should, too." I can almost guarantee there is a grain of wisdom and experience at the core of every library trend. It started out as something that worked for the first few people who did it, but after that libraries become a bit like the apocryphal lemmings throwing themselves off the cliff because all the other lemmings are. Research Based Practices, on the other hand, are formulated to reflect research and science. I remember someone asking me what I thought of some new fad in instruction, and I think I ticked that person off because my response was "It sounds like an interesting idea, but I'm holding off my opinion until I see some research into whether or not it really works." The problem with going based on gut feeling instead of looking for research is that you become prey to things like confirmation bias. The problem with those ideas is that research lags behind trends. Worse, not everyone has time to do big, longitudinal studies to prove the efficacy of new practices. So what are those of us who are interested in cutting or even bleeding edge ideas to do? Action Research. There are all sorts of resources to help you with this idea, but basically it (usually) means small scale research to improve your practice. It includes all the same things as larger scale research, but it on a much more manageable and practical level. Adopt, Adapt, and Improve. There are no neutral or normal libraries. That means that what made a project super successful at one library might not work at all at another library. When looking at a hot new trend, we need to pause and think about how it would work best for our community - if at all. We need to ask if there is something else we could do with those funds, and that personnel time, that might better serve community needs. We need to think about why we're doing a thing, and if the answer is "because everyone else is doing it" we need to reconsider. If we stay rooted in our libraries and our users, it greatly reduces that risk of being swept up in a trend for no reason. 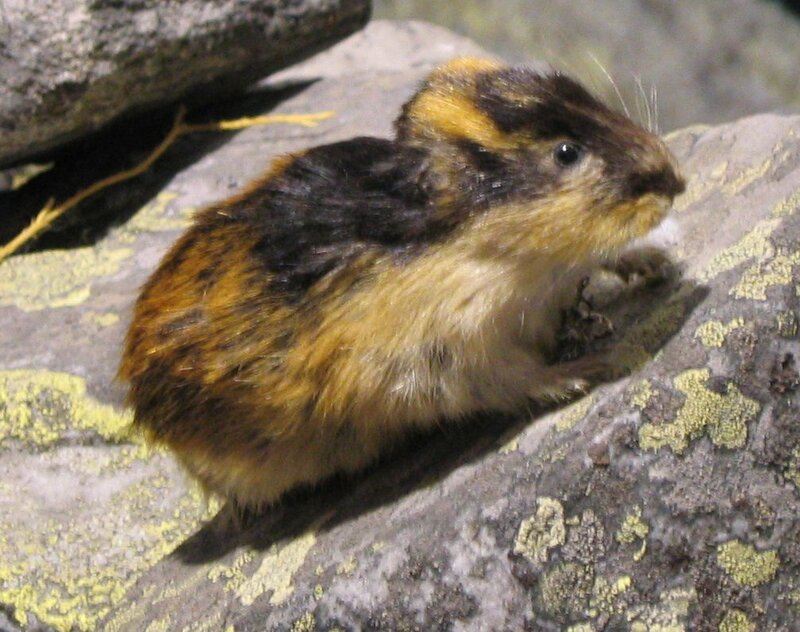 While lemmings are incredibly adorable, whether we're talking about the real ones like up above or the fake ones that jump off cliffs, we're humans. We shouldn't emulate lemmings. Neither should we follow along with trends just for the sake of the trends. The problem here isn't with trends or the best practices. The problem lies in treating library best practices as off-the-rack solutions without checking the research and connecting the solutions to the specific context of our libraries and our users. We are a profession that encourages people to be curious and investigate, shouldn't we do the same? In the depths of a cold, brutal winter full of gray skies, snow and ice, one’s thoughts turn to summer. When the SRP theme is announced, it is a delightful break from fighting with the heating system, shoveling snow, and teaching adults how to use computers. Every year I think to myself, “this year will be amazing!” For context: I run a medium size library and have four part-time staffers. In February (it used to be March, but the larger libraries plan earlier), we go to a workshop to get pumped up about summer reading. We hear about elaborate, successful programs; we are impressed with the need to innovate, inspire and transform our patrons. We are told to rethink how we reward reading, for providing bribery implies that reading is an unpleasant task that requires pay. We are given lists of program ideas, lists of books, craft ideas, decoration ideas, costume ideas and lots of really bad jokes. I take copious notes and come back to my library, setting out my summer calendar eagerly. I order prizes, reading records, bags, and craft supplies, all the while picturing sunny skies, green leaves and warm breezes. I should know better by now. I started my library career back in 1997. But it happens every year. First I put in a weekly program for each age group- preschoolers, elementary and teen. Then I have a family program every Saturday. Ooh, I should add more! I’ll create all the decorations myself from paint and cardboard. I’ll make special foods for each Saturday. We should have life-sized games. I’ll go visit the summer camp. I’ll make an online scavenger hunt. We’ll have an essay contest. I’ll make a piñata for a Saturday program. I should have an example of each craft we’re doing on display. I’ll get the Friends of the Library to fund this, this, and this. I’ll go to all our local businesses and ask for incentives. We’ll participate in the County summer food program and give out lunches to children. I’ll have flyers and newsletters and send out press releases and get onto website listings. I’ll work with the school to have an assembly there and a library card drive. Did I mention I’m the director, and my duties include more than being children’s librarian? These plans do not seem excessive when I’m putting out ice melt or processing books. They seem like fun! I forget that I find running events draining and stressful, and just remember the creative play of making things. I need to run the entire library, not just Saturday events and Tuesday craft times. There have been summers where I worked 6 day weeks without a break, running story-time, craft class, and special events. I neglected my family and friends. At the end of the program I was so burned out. I felt like my summer had been stolen from me. I contemplated quitting my job and becoming a hermit, and snapped at everyone. When a presenter was late for her program, I said mean things about her to the waiting audience, and probably brought everyone’s fun level down. Were my numbers better on summers like that? No, not really. I know myself, so I work to prevent this kind of over-commitment. 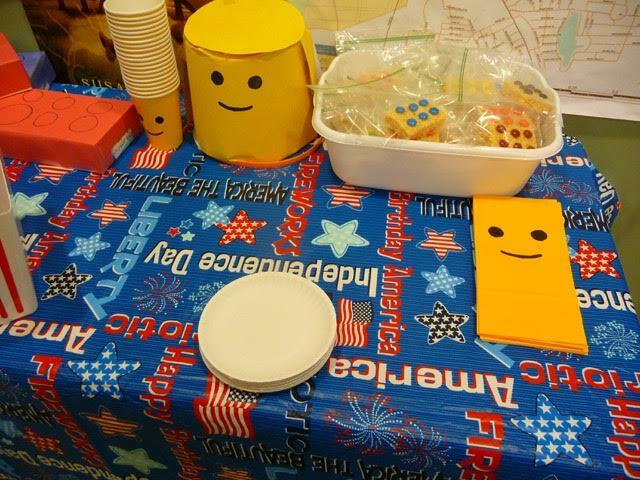 I have a member of my staff run story-time and do preschool visits. I have another staff person run teen events and promote teen book reviews. I plan to do things outside of work, and take Mondays off when I can so I’m not working 6 days a week. I ask the Friends of the Library to help with our kick-off and school visit. I also write notes to myself at the end of summer, listing what went wrong, what I should repeat and other words of advice. Some of the notes are not helpful (like “don’t let staff quit mid-summer”) but much is very useful. In June, just before we start the program, I cut out or pare down any grandiose scheme beyond the basics. I set goals, to remind myself why we are doing this program. We want kids to enjoy reading, to avoid their brains turning to mush over their school break. We want our community to know we exist and to use our services. None of my goals say anything about “outshining large libraries who have big budgets and full-time staff” or “making everything by hand better than Martha Stewart”. Sometimes looking at other library’s events or on Pinterest can be helpful, and other times it can make you feel inadequate. Now if you’ll excuse me, I have to plan a Lego party for next Saturday. Instead of making a cake, I’m making Lego snacks from packaged Rice Krispies treats and M+Ms. Instead of making a piñata, life-sized legos and a bean-bag toss, I’m putting faces on yellow cups and putting out lots of bricks to build with. It will be fun! Jane Chirgwin is a Library Director in upstate NY. She’s self-published three novels, available as e-books on Overdrive. Visit her blog on creativity, librarianship and writing at Janesfolly.org. Find her on Twitter @Janesfolly. You are not your job/profession. "I've a distrust of labels, but these generally apply: librarian, feminist, Buddhist, rad fatty, nerd, academic, & usually she/her/hers." I've started taking guitar lessons recently. I've only had one lesson so far, but I love it. I love learning new things, things that stretch me just a little but not too much. And learning to play the guitar is definitely that. I had lots of different kinds of music lessons when I was growing up, both at school and outside. I studied violin, clarinet, piano, and lots and lots of voice lessons. I have vague memories of being taught to sight read music, especially in piano and voice, so learning to play guitar is syncing up with that dormant part of my brain that I used to use so much when I was younger. Learning guitar is so much fun. More importantly, though, this is something I'm doing just for me. It feels odd that this half hour lesson every other week and 15-30 minutes of practice every day isn't in service of my health or my religious practice or making something for a friend or my profession. But it feels good. Now onto the reason why I wanted to tell you about my lessons. I'm no expert on impostor syndrome, but I wonder if some of that phenomenon is tied to how we form our sense of identity. For example the reason I resisted calling myself a Buddhist for so long is that I felt like I was faking it and I didn't want to be a bad Buddhist. I had daydreamed up this nightmare scenario about someone who was raised Buddhist suddenly quizzing me on the life of Siddhārtha Gautama or the Four Noble Truths. I eventually let go of that fear, more because I studied a lot and have a solid base of knowledge. I think I would have been better served by letting go of my attachment to that label, and I wonder if the same thing could work for librarianship. Maybe, just maybe, if we stop basing our identities on "librarian" and start letting each other just be, maybe we can get over that feeling that we're faking it. Having something in our lives that is just for us can help, I know. What do you think? I know this is a nascent thing, but seriously, I want feedback on this pet theory. And thanks. I adopted Martin the same day I lost Holly to her kidney problems. I'd had The Princess for almost 16 years, so I was pretty distraught and did not want be without a cat. 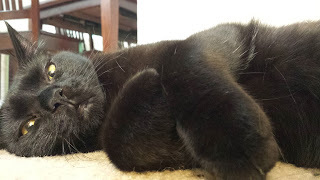 He was 9 months old when I got him, so that means that Martin is younger than I wanted (Holly was 2 when I got her, and that was perfect), which has presented some problems, but he's calming down already and will (I hope) be out of his kitten-ness soon. He is ridiculously cute and a total goofball. Martin is also clumsier than any cat I've ever known and I sometimes actively worry about him injuring himself as he careens around my apartment playing Kitty Parkour games. He is named for one of my favorite minor characters from Neil Gaiman's "The Sandman" series, Martin Tenbones. Tenbones is a creature of dreams who, out of loyalty to another minor character, crosses over into the waking world. I'd long thought I'd someday get a big fluffy real dog and name him after that big fluffy comic book dog, but then a tiny black cat with a tinier white ascot came into my life. My Martin isn't even half the size of the comic book Martin, but he's got enough personality to make up for the rest of the size difference. Thus "Martin Fivebones" was named. "House Panther" for obvious reasons. Zephyr came into my life a month later. Martin was/is... shall we say "rambunctious"? And I have the scars to prove it. I'd known for a while that I wanted two cats this time around instead of just one, and multiple websites recommended a second cat of similar age as a remedy for the OMG ENERGY of a cat like Martin. 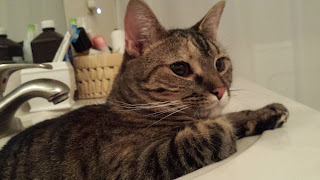 I was a bit more circumspect in adopting Z because I had more specific needs than just "must have cat in apartment." This time I wanted a cat of similar age and similar energy who couldn't be an only cat. That's why I went looking for her through petfinder.com, so I could refine my search and put my librarian skillz to work. When I first met her, she was a bit heavier than she is now. She came from a no-kill shelter that keeps the cats in individual cages most of the time, so she wasn't getting as much exercise as she is now. Despite that, the first time we set eyes on each other in person she was atop a 6+ foot tall stack of cages - like she'd just flown up there. Like it was nothing to her. She is named for a comic book character who I haven't read yet, but still made a lasting impression. I had been talking about Zephyr, or Faith Herbert, earlier that day. You see, Faith Herbert is a for real fat superhero. 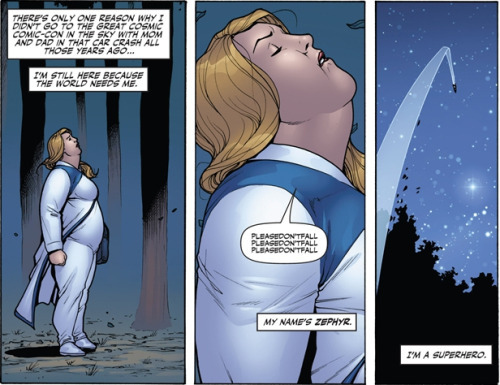 Since most female superheroes seem to have "ability to fit in ridiculously small costumes while twisting into ridiculously impossible positions" as one of their superpowers, this Zephyr piqued my interest: a fat chick who can fly. So when I met my slightly fat cat who seemed to fly, name choice was easy. "Puma Nose," because seriously, look at that nose! Just like a puma's. They seem to get along most of the time these days, but the best way to describe their relationship is that of kid brother and older sister - he ALWAYS wants to play, but she sometimes gets fed up with him. I'll hear a noise that could easily be confused with a distant motorcycle, then I'll hear a hiss, and then I'll see Zephyr coming out from wherever she'd been hiding with Martin close on her heels. "Words matter WORDS MATTER this 'customer' stuff isn't just benign semantics and labelling it comes from an insidious framing of education." "Student expectations are informed by their pre-university experiences. And those are not uniform. We have students with a variety of levels of experience and preparedness for what university education requires. And we do not, as educators, have to buy the argument that the purpose of our work is to prepare students for 'jobs.' Our work, collectively, in higher and further education, is to provide students with experiences and support within those experiences to learn, to grow, to find and shape their voice, to be prepared to exercise citizenship, to live engaged lives, to shape their world in constructive ways." I loathe the word "customer" for people who walk into a library, but even more so for students of a college where I work. It really does set up the wrong dynamic. I can't tell you the number of times that I have heard "I pay your salary" or variations thereupon directed at me or at a coworker by a student who isn't being allowed to do one disruptive thing or another. That student who got angry with me and told me how much they paid to attend that institution because I wouldn't let them leave their possessions strewn around a busy area was a particularly fun example of that. Because there is already so much money involved, calling a student "the customer" makes it feel even more like we are supposed to bend over backwards. How far is it from adding a rock-climbing wall to eliminating prerequisites for a price? But back to my original point: I would argue that those skills Lanclos lists are precisely the kinds of skills employers both big and small need in their work force. I'm not pulling this out of the air, either. I've read so many studies that talk about how employers want people who can think on their feet, who can write, who can investigate, who can think critically... Dr. Lanclos writes that managing educator expectations is just as important as managing student expectations, but I'm wondering if we need to take a step further and manage the expectations of our communities. If so much of this is predicated on the assumption that we are educating students to be employable, can we use the expectations of those employers to shape the conversation? It seems that educators and companies are all saying the same thing, and there's got to be a way to leverage that so that our students and, more importantly, our upper-level administrator and boards of trustees get back to trusting the faculty and staffs of their institutions. Or am I just dreaming here?